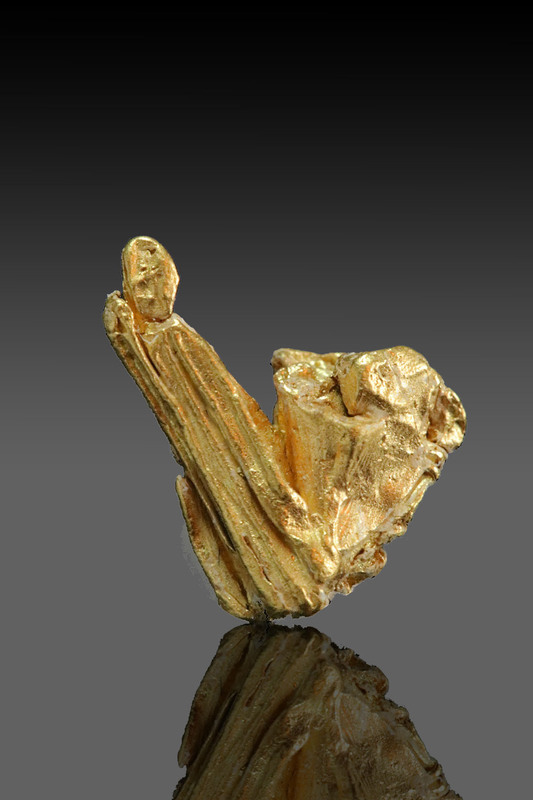 This gold specimen is just cool with a large branch that jets off to one side and is completely striated. 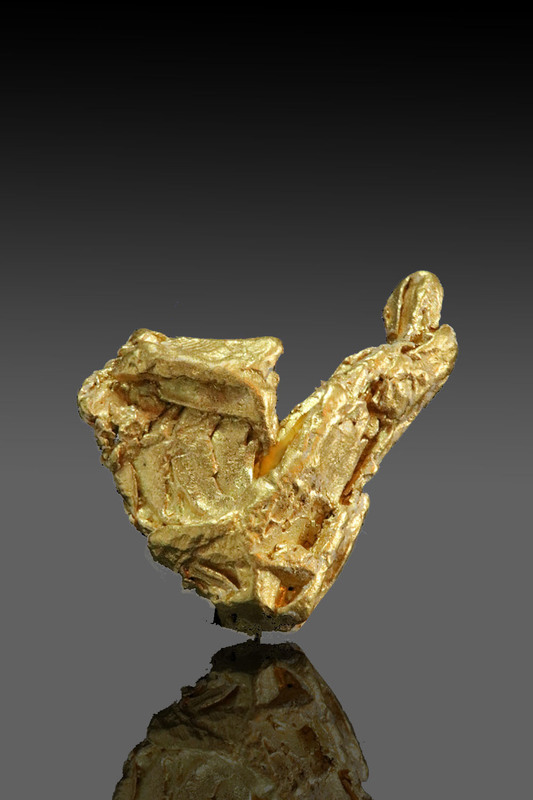 The piece has a beautiful gold color and was hand selected during my travels. 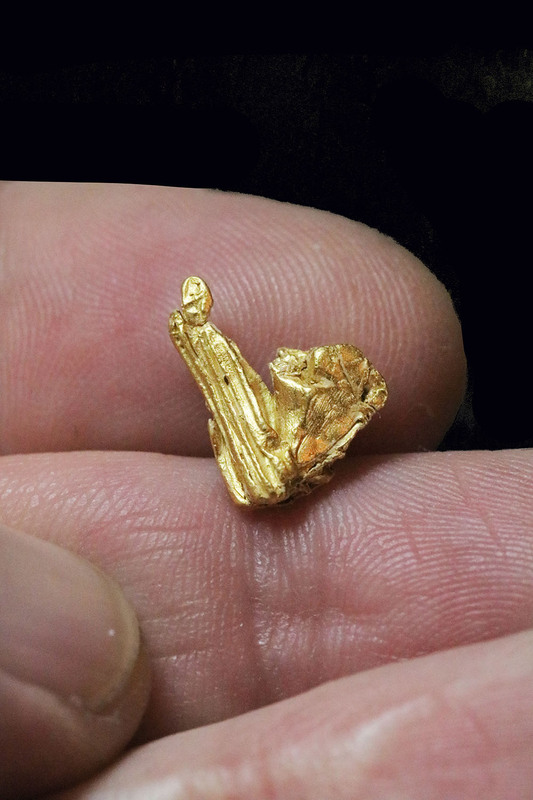 I literally see hundreds of gold nuggets from the Yukon every season and this is a very rare anomaly from the Yukon.